I play a lot of solo acoustic gigs, and I’m always looking for a portable amp that sounds better than my current amp and has onboard effects to save me from lugging extra pedals. I’m also a sucker for amps that are lightweight and inexpensive. So my interest was definitely piqued when I was encouraged to try out the THR5A, part of Yamaha’s THR series of desktop practice amps. When I first heard this little guy, I was floored. Resembling a cross between a toaster and small boom box (6 ½” tall x 10 ½” long x 4 ¾” deep), it weighs a ridiculous 4 ½ pounds and definitely fattens the sound of an acoustic guitar. The THR5A lets you tailor your sound by selecting from its modeled mic settings (instead of different amp models) and it has very decent-sounding stereo effects. With its distinctive package and a street price of around $199, it’s definitely a head turner. Unfortunately, it’s not very loud—which tends to be a primary requirement for most people when they shop for an amplifier (in fairness, if you dig into Yamaha’s website, they describe the THR series as “… a package to fit all your offstage needs …”). The 10-watt amp pushes five watts to either side through twin 3.15” speakers. For their size, they sound remarkably full. 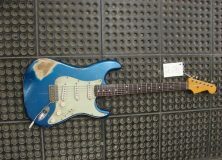 In a small room, it’s sort of like having your guitar suddenly sound twice its normal size, shimmering with studio-quality reverb and delay. But because it distorts at fairly low volumes—especially with heavy strumming—the THR5A’s usefulness is a bit limited. While all the amps in the THR series are promoted as “ideal for practicing, songwriting, and recording,” I’m not so sure those are the areas where the acoustic player most needs an amp. I write with an acoustic guitar because it’s portable and I don’t need an amp. 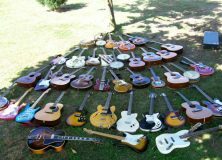 I practice with an acoustic guitar when I don’t want to make as much noise as I would with an electric. I record my acoustic guitar with very little processing and add effects later. So I’m not sure how strong these selling points are—much less the ad copy from one big-boxer that suggests that you can rock out on a street corner with its battery power. I doubt it. 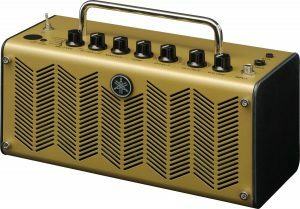 The way this little amp overdrives indoors when strummed aggressively, it would distort and get drowned out almost immediately in the great outdoors, especially near traffic. So the problem isn’t that the THR5A doesn’t live up to what Yamaha says it will do. 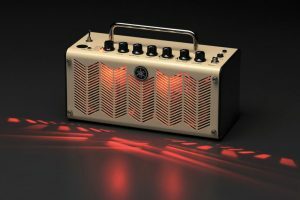 The problem is that the company has come this close to making a top-notch pro acoustic guitar amp—but has limited it to being what some reviewers have called a cool gadget or useful toy. Ouch. 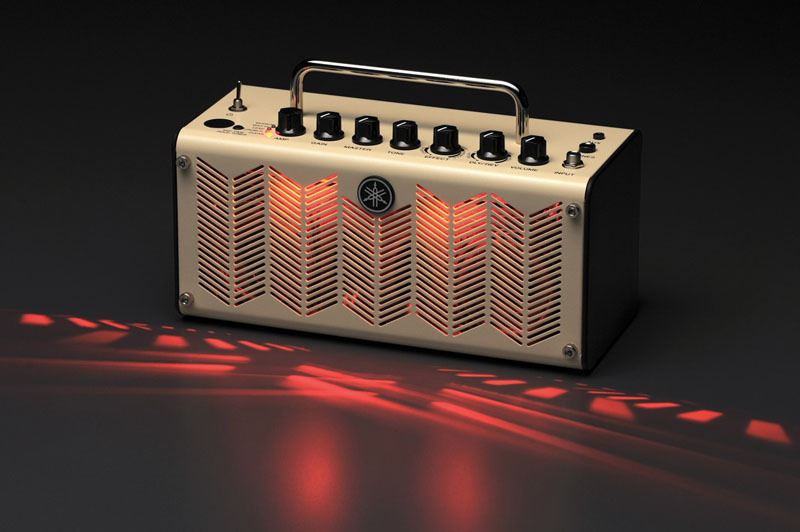 This little amp-lette enhances the guitar nicely in a small room (e.g., living room or coffee house), playing solo or with another acoustic instrument or two (to a quiet audience). It sounds especially good for fingerstyle, where its adjustable compression, reverb and delay help you articulate without overplaying (I tried it with three flat-tops with different pickup systems and a Takamine classical guitar—it worked well with all four). Microphone models include condenser, dynamic and tube mics, as well as a nylon-string and a clean electric model. The Blend/Gain knob lets you balance the amount of mic-modeled sound along with the sound from your guitar’s pickup. 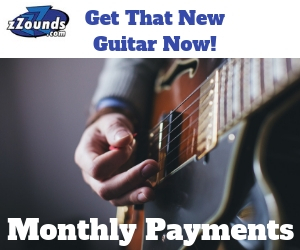 It has a tap tempo function to easily adjust the delay rate, and an online tuner that reads easily and automatically mutes the speakers. It has a USB port, which lets you to go direct into your computer or digital audio workstation (DAW) to record just about anywhere without a mic. It also lets you download the THR editor software, so you can tailor sounds and effects, and store presets online. It features a headphone jack and an Aux input, allowing you to play along with other tracks. The THR5A is a very cool, very functional little amp—it just won’t let you play very loud. If only it had 10-20 watts more headroom and a couple more speakers, or a line out for a separate mini-cabinet, it could be a big-boy amplifier. 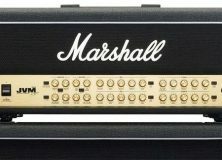 Since it calls itself an amp, that sure would seem to make sense. Ronnie Brooks can be found lurking around Nashville, TN, where he writes magazine articles, Web content, songs, ad copy, jingles (little songs), and the occasional thank-you note. His songs have been recorded by Kid Rock, Joe Perry and Molly Hatchet; he’s played bass for Chuck Berry, produced Dolly Parton, performed on several Super Bowl ads, and seen the Beatles play live. Hey Ronnie! Nice Review! I’d DEFINITELY recommend checking out the ZT AMPS Acoustic Lunchbox. It doesn’t have all of the modeling features but it has some really great tones and there’s NO shortage of power/volume. Unbelievable amp for size/cost ratio.